I joined the OU in 1976 straight from doing my DPhil at Oxford, having been an undergraduate at York (the university was only six years old when I joined, as was the Open University when I joined that). 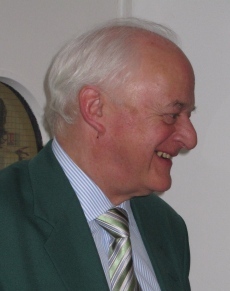 The History Department, led by Professor Arthur Marwick, consisted of about seven central academics (based at Milton Keynes) and four staff tutors. Arthur Marwick was a controversial figure in the historical profession but he had three outstanding qualities. First, he understood what good history was. Second, he was deeply committed to teaching good history and to ensuring that students learnt not just about historical periods but about the techniques of the historian—not something that was in the ‘60s and ‘70s widely taught except in rather dull historiography courses. Third, he was extremely loyal and supportive of the members of history department, keen to help younger scholars make their way, and taking pride in their successes. By the time I joined the department, my colleagues were working on the remaining level 3 modules and contributing to the remake of the interdisciplinary level 1 module and level 2 modules. The faculty had a very limited number of modules: all students were expected to take the one level 1 module and both of the level 2 modules. The only specialisation was at level 3. There was an existing level 3 module on War and Society and, in production, two 30 credit modules, one on the Revolutions of 1848 and the other on English Urban History c.1560-1780. The consequence of this arrangement was that virtually everyone worked on interdisciplinary modules, so we knew our colleagues (of whom there were not very many) in other departments. This had a huge benefit for us all in that we began to learn not just the subject matter but the methodologies of other disciplines. It was a terrific education for a young historian and, in my case, resulted in my working on buildings and material culture later in my career. There was a great sense of excitement in producing modules because we were working in such unknown pedagogical territory and were learning how to teach at a distance as we went along. Arthur Marwick is credited with having invented the written tutorial, taking students through teaching material with separate readings and exercises to reinforce what students had learnt, an attempt to bridge the distance between tutor and student. We were also experimenting with TV and radio. There was a department of the BBC which worked solely with the OU. The Arts Faculty (along with Science) made much more use of it than other faculties. We learned pretty quickly that televised lectures were not an effective way of teaching (a message that has still not reached colleagues in other universities). So each discipline in the faculty experimented in different ways: the philosophers decided that TV wasn’t for them and concentrated on radio. Our programmes had to be comprehensible to the general public as all our TV and radio were broadcast on the normal BBC television channels and radio stations. Historians concentrated on using TV for film history and discussing newsreels. In addition, both the modernists and the early modernists used it as a substitute for field trips to take students to places to which they probably couldn’t travel themselves. We walked viewers round towns and buildings to show them historical evidence on the ground. I worked with the same producers for a good many years filming sites in Britain, Ireland and France and taking students round ruins in fields, up sixteenth century towers and round the backs of palaces to show them how we could read not just the history of the place, but the social history of the time from this kind of evidence. One of the great perks was going on the recces for the filming, and having backdoor access to Versailles Palace, filming without visitors at 9 pm in the palace at Holyrood, and viewing parts of country houses not normally open at all to the public. Another particular benefit for me was that Christopher Hill, Master of Balliol College, Oxford and the most celebrated seventeenth century historian in the country, came to work at the OU. It was agreed that he would not have to do the usual administration of a module team chair so I was appointed to see to that side of the work. As it turned out, I was also his chauffeur as he didn’t like driving and we lived near one another in Oxford. I had always admired his work but hadn’t known him when I was a postgraduate, even though we were at the same university. Over the three years he was at the OU I learnt so much more about Civil War England by chatting in the car—he talked about men I had written about in my DPhil thesis as if they were personal acquaintances. It was a wonderful education. He was also a considerable politician so I also learnt a good deal about how to get people to do what you want—which stood me in good stead later as both module chair and head of department. It’s hard now, at a distance of 40 years, to summon up how exciting it was to work at the OU, the sense of experiment and the sense of reaching a huge body of people to whom university education had previously been inaccessible. I’m certain that this sense of mission was an important part of firing us on to try to teach better. The 1980s was a rather dismal period because, although the university was well funded, it was not well enough funded to appoint new staff and for about 10 years I was the youngest person in the department. In the 1990s we began to face much more seriously the challenges of the new technologies. Because of the need to make OU materials accessible to all students we couldn’t be at the cutting edge of teaching technologies: we had to wait for students to be able to receive BBC2 (unavailable in several parts of the country in the 1970s), then to acquire video players, then computers. I worked with IT colleagues to explore the possibilities of teaching on DVD in a non-linear fashion impossible with transmitted programmes or videotape. By the 2000s we were beginning to aquire a better understanding of these technologies. However, we lost a great deal when the OU BBC department was closed down as its producers had both pedagogic and subject expertise. One constant in our history teaching, in all the different generations of modules I worked on, was the emphasis on trying to get students to read and understand primary sources and the ways in which historians use them. I even ventured on a rather ill-fated attempt to get history students to understand how to compile and use a spreadsheet. The new availability of online resources means that there has been a convergence of the experience of students in conventional universities with that of students at a distance. The idea of being able to have access at home to all the standard journal articles in the subject, something we now take for granted, was an impossible dream in the ‘70s, ‘80s and ‘90s. Perhaps the greatest cost lay in the research careers of colleagues. Some colleagues managed to keep their research going, but the relentless timetable of module production and the demands of maintaining existing modules meant that a good many people’s research careers were slow to take off. In the early days there was no national assessment of research, so there was no external pressure, though we recruited people for their research expertise as well as for their apparent capacity to teach at a distance. However, I count myself extraordinarily lucky to have worked at the OU during this period of experiment and innovation. This entry was posted in Curriculum, Teaching, TV & Media on 24/04/2019 by John Slight. I joined the Open University in 1970 straight from doing research in Cambridge. I was the only Englishman in the department which had three Scots, all from Edinburgh: Professor Arthur Marwick; Christopher Harvie, a lecturer like me; and Neil Wynn, Arthur’s research student. I wasn’t entirely sure what to expect, but the job seemed a bit of an adventure in as much as it was planned as a university that was going to teach at a distance and work alongside the BBC in preparing radio and television programmes to accompany the written material. Arthur Marwick was a ‘character’ – he loved football, wine and women (I’m never entirely sure what the order of preference was) and he believed that he had the infallibility of a Pope. But he had also thought deeply about the teaching of history and how it might be done at the OU. When I went for my interview at the beginning of February 1970, he had written two units – the first ever teaching units produced, admittedly in draft but when I attended my first Faculty meeting everyone else seemed to be sitting round the table still wondering how they might write their material. Equally important to the writing of the course were two members of the Institute of Educational Technology established at the OU and whose task it was to make us think about how to construct courses and how to make them guide students towards their degree. Arthur was already well along this path, but it was stimulating to think of the aims and objectives of each course, each unit within the course and how they cross-referenced and linked together. I don’t think that anyone who taught me at the University of York, where I was one of the first 150 undergraduates, good as they may have been (and several were excellent) ever considered these issues. I felt completely thrown off guard in one of the first course teams for which I worked by being asked what I expected students to be able to do when they had read my units and the course as a whole, that they could not do before. Most, if not all universities construct aims and objectives now, but in 1970 there were very few. A lot of academics in other institutions were quite disparaging of the OU. They considered that we spoon-fed the students. Shortly after my appointment I was invited back to Cambridge for a formal dinner. It was not my old college, but I was faced at High Table by a young Fellow historian who was clearly a critic of what the OU was doing. After getting a smug earful from him, I couldn’t resist asking him what he expected someone to be able to do when they finished a History Degree at Cambridge. He coughed, huffed and puffed, and finally came out with “I suppose they should be able to use a good library like the Cambridge University Library.” Wow! In addition, there were problems about what some people assumed our politics to be. In 1972 we produced an interdisciplinary course called the Age of Revolutions. A worried MP raised a question in the House of Commons about whether the Secretary for Education was aware that the Open University was recommending as a set book something written by a self-confessed Marxist, namely Eric Hobsbawm. My colleague Chris Harvie was invited to the Commons on the strength of this. But Chris never forgave me because in the television programmes that accompanied the course, he shot a television programme in Oldham (at least I think it was Oldham) as he had written about the Industrial Revolution, whereas I got to travel to the United States and Paris as I had written about political revolutions. In the early years the radio and television producers were members of course teams and, consequently the programmes were closely tied into the courses. The radio programmes were often there to get students to hear leading academics express their ideas and sometimes to argue with each other. They also enabled young historians like me to meet and talk to these leading figures about their work; Edward Thompson, for example, who wrote The Making of the English Working Class – a book that had a profound influence on social history when I was an undergraduate and long after – gave me a wonderful 30-minute tutorial in a taxi from the studios at Alexandra Palace, and I stayed in touch. The history television programmes were designed to take people to key areas and show sights that they probably would learn nothing of on a tourist trip – the traboules of old Lyon for example, covered ways between streets that enabled the city’s silk weavers to carry their precious woven cloth from their home on their master or the merchant without risk of rain damage. In the French Revolution the same passageways were useful to counter-revolutionary murder gangs, and 150 years later during the Second World War they were used by members of the French Resistance to disappear from one street and emerge in another. The TV programmes also enabled us to get students to think about film as an archival source, and when dealing with 20th-century issues to ensure that the film we employed was not just wallpaper but added to the issue under discussion. It was sad to see this policy disappear as the BBC programme makers ceased to be course team members and went back to using film as wall-paper. I recall a long and heated exchange when a director decided to cover an account of members of the German Army destroying French school-books in Alsace-Lorraine during 1940 with shots of Nazi Brown-shirts burning books in Berlin several years earlier. Working with the BBC also opened up sources for us that we might otherwise have missed for our own research. In the early 1990s while making a film about 19th-century Italy the director and I were talking with some officers of the Carabinieri who told us about their archive in Rome. I manged to get the script doctored a little so that we could get into the archive and the corps museum, subsequently I was able to go back and do some serious research in the archive for a book that I had been thinking about doing on Gendarmerie-style policing in nineteenth-century Europe. My problem when I organised my return to Rome was that the Carabinieri who ran the archive had no way of letting me pay for photocopying, but they hinted that they enjoyed a good malt whisky. I managed to get the whisky (technically under the heading photocopying) paid for out of my research grant – probably not something that you could do today and the Carabinieri have woken up to this and now the officers in charge insist on two copies of any publication that follows work in the archive, though I dare say that the bottle of single malt whisky still significantly aids the research. In addition to the teaching units and the broadcasts, students were required to attend a one week summer school for some intensive teaching and seminar work. Members of staff were required to do two weeks of summer school. It was exhausting as many students sought to have a year’s worth of face-to-face teaching in six days – and some combined it with a year’s worth of partying. But one statistic that we found interesting, at least in the History Exam Boards, was how a large number of students’ grades jumped upwards in the assignments that they did after the summer school. I can understand why the summer schools have gone, but it is also a great loss. I suspect that as you get older (and certainly in my case more curmudgeonly) the past has a rosy glow. The requirement that every course be the same length is one example. I remember a directive giving precise lengths for units that were the same for History as for Maths, and I still cannot fathom this. My best man at my wedding got a PhD in Maths at Cambridge and his thesis was about one third the size of the average History thesis. One size does not fit all in teaching. Arthur Marwick had individual meetings with us to find out how we were coping with the teaching, what research we were doing and how it was going, and if there was anything that we felt we needed for our work. This was unofficial, but then came the annual appraisal which had to be signed off by the Dean and forwarded up to others not in the faculty. The more formal annual appraisals always had a box at the end saying what would help improve your performance and that your request would be answered and acted upon. A couple of bloody-minded individuals that I used to appraise with this form always used to write something in that box, but we never received any response. Much of the above has shown my annoyance at the way things have developed – but it is not only the Open University where the box-ticking has become ridiculous. Things have to change given new technologies and I am full of admiration for the material that the historians at the OU produce and the ways in which they do it. I used to think that I had the best job in the world – I hope that they do now. PhD student Samuel Aylett has written a piece for the Mainly Museums websites on the Tropenmuseum in Amsterdam. The Tropenmuseum began life as the Koloniaal Museum (Colonial Museum) in Haarlem founded in 1864. Like many nineteenth-century European museums, its collections grew out of Dutch colonial expansion and scientific research. The majority of its collections were brought back from the Dutch East Indies, now Indonesia. In 1910, the Vereniging Koloniaal Institut was founded, which was incorporated into the museums in Haarlem, and began to exhibit much of the museum’s collections to the Dutch people. However, it was not until 1926, when the collections were re-housed in the new Colonial Institute and Museum in Amsterdam, that the Colonial Museum proper opened its doors to visitors. It was officially opened on 9 October 1926 by Queen Wilhelmina. Like many European museums, it was closed during the Second World War. In 1945 the Museum changed its name to the Indisch Museum (Indian Museum), and subsequently the Tropenmuseum (Tropical Museum), not least because of the political implications of decolonisation. In the 1970s the Museum was extensively renovated. An extension as wadded to house the Tropenmuseum Junior (children’s museum), a theatre and additional exhibition space (other structural changes were made). The Tropenmuseum, even today, is a stark reminder, with its impressive neo-classical architecture, of the Dutch colonial enterprise. Like its other European counterparts, the Tropenmuseum would have served to remind and inculcate within the Dutch people a sense of the grandeur and moral obligation of the Dutch ‘civilising mission’. Like the Natural History Museum in London, its façade is decorated with colonial imagery, and images of formerly colonised peoples working in the rubber industry can be seen inside. However, today, the Tropenmuseum is one of but a few museums in Europe that engages seriously in challenging and questioning its colonial past and institutional legacies. In 2003, the museum staged a new exhibition ‘Oostwarts’, which historian Professor Robert Aldrich felt was the ‘most thorough and thoughtful display on colonialism’. 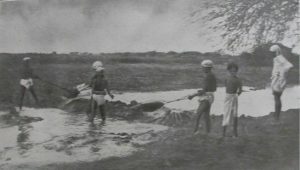 The exhibition, which has now been integrated into the Museum’s permanent galleries, combined both material items and mannequins to interrogate thoughtfully the lives and experiences of peoples living in the Dutch East-Indies. This exhibition marked a post-colonial shift at the Museum, and the beginning of a new period of serious self-reflection about the Dutch colonial past and the Museums own institutional complicity in it. The Museum’s own colonial legacies are made explicit throughout the Museum’s permanent galleries. During my visit in December, I was struck by a text panel that called into question how the Museum came into possession of its collections from New Guinea. Where contemporary debates around former colonial museums and acquisitions of their collections tend to be polarised, the Tropenmuseum is nuanced; injecting honesty and self-reflection into an otherwise febrile debate. Other text panels scattered throughout the permanent galleries provide, for example, explanations of Dutch and European colonialism; ‘Colonialism refers to the practice whereby one country conquers and occupies another using force, deception and betrayal.’ Perhaps a little provocative and emotive, but which represents a willingness to take stock of the darker elements of Dutch colonialism. The cardinal reason for my visit in December last year was to see their new permanent exhibition, Afterlives of Slavery. The exhibition focuses on the enslaved and their descendant, using personal stories both past and present to interrogate the history of slavery and its current-day legacies. Personal accounts and memory have become hallmarks of the post-colonial exhibition. The exhibition was designed and created by curators, artists and activities, providing a more democratic and multi-vectored interpretation. Often, public discourse around European colonialism fails to recognize the historical continuity of its legacies and their effect on contemporary society. It was therefore refreshing to see that the exhibition tackled subjects such as ‘Power and Race’, and ‘Protest Against Racism’, explaining the ways in which European colonialism played a significant role in creating racial power structures based on white supremacy which continue to disadvantage and oppress minority groups today. The Tropenmuseum is a refreshing example of how a country can, with pride, tackle its difficult past at a time when other European Museums are entrenchment in their refusal to engage seriously with their institutional legacies. The Museum is unashamedly self-critical in its reassessment of Dutch colonialism. At a time when the British Museum refuses to entertain repatriation of artefacts taken from former colonies, the Tropenmuseum stands-out in their sincere approach. This entry was posted in Postgraduate, Publications on 08/04/2019 by John Slight. This event was jointly organised by UKRI-AHRC and the International Development Committee (IDC) of UK Parliament. The conference brought together development scholars and NGOs from the Global South, UK-based researchers, and UK Parliamentarians. Its main objective was to share ideas about achieving greater visibility and inclusion of globally diverse voices and perspectives with a view to improving UK Government (DFID) policy-making. The IDC’s main role is to scrutinise the work of DFID by providing information and perspectives from a wide range of sources so as to ensure that policies are compliant with the UN Sustainable Development Goals. As much of the IDC’s current focus is on monitoring and evaluating DFID’s work in the areas of Forced Displacement and Climate Change, its members were given a unique opportunity to hear first-hand accounts of collaborative north-south research projects on these themes using Arts and Humanities approaches. These methodologies included oral history, story-telling, street theatre, participatory video, creative writing, used by projects researching subjects such as Local Community Experiences of Displacement from Syria; Traditional Knowledge and the Revival of Millets for a Changing Climate in South India; Living with Typhoons and Insecurity in the Philippines; Resilient Pastoralism in Mongolia and Kenya. Members of both IDC and AHRC expressed great delight at the information and insights provided by the presentations and voiced the hope that this event heralds a continuing and inclusive dialogue between researchers in both north and south and their parliaments. However, many of the researchers present expressed scepticism about the effectiveness of such events in changing or improving government policies. Indeed, some invited delegates from the south had been refused visas to travel to the UK. Personally, I made the point, to loud applause from the floor, that unless the Home Office’s ‘hostile environment’ immigration policy is reversed and visa applications from the south approached with a radically different mindset, ‘voices from the south’ will remain marginalised and hopes for a deepening north-south dialogue on development voiced by the conference organisers might well prove unsustainable. This entry was posted in Awards & Funding, Conferences & Events on 27/03/2019 by John Slight. Associate Lecturer in History Dr. Terence McBride has published ‘Scottishness and “Foreigners”: the role of a developing Scottish “machinery of government” before 1939‘ , in the journal Historical Research. Before 1939 continental Europeans were settling in Scotland, in a part of the United Kingdom that had been shaped by distinct religious and legal traditions. Government bodies in Scotland that had emerged in the nineteenth century also gained significant powers over welfare, public health and local government before that date. This article, as the foundation for a wider study on migrants in Scotland, uses government records to examine attempts by these bodies to engage with migrants and also to develop ideas on managing ‘foreignness’. It concludes that although officials largely engaged on the basis of increasingly restrictive UK-wide immigration legislation from 1905, this was also a period in which migrants could benefit from the efforts of both ministers and mandarins to act in line with what they saw as the particular traditions, practices and priorities of Scotland. This entry was posted in Publications on 20/03/2019 by John Slight. Associate Lecturer in History Dr. Catherine Lee has published ‘Giddy Girls’, ‘Scandalous Statements’ and a ‘Burst Bubble’: the war babies panic of 1914–1915 in the Women’s History Review journal. During a few short months following the outbreak of war in 1914, Britain’s press was rife with reports of what was heralded as a new ‘social problem’. The alleged impending birth of thousands of ‘war babies’ to unmarried young women and girls, said to have been fathered by men recently departed for the Western Front, was widely discussed but ultimately proved to be largely fallacious. This article examines the extraordinary ‘war babies’ episode through the lens of the moral panic, focusing on the impact of exceptional wartime circumstances upon the shifting and conflicting sets of gendered, moral values and attitudes of the period. This entry was posted in Publications on 18/02/2019 by John Slight. The Trustees of the Rothschild Archive have awarded Dr. John Slight, Lecturer in Modern History, a Rothschild Bursary to facilitate his research in the Rothschild Archive in the City of London and the Archives Nationales du Monde du Travail, Roubaix, France, for a journal article on the Rothschilds and the 1882 British occupation of Egypt. This entry was posted in Awards & Funding on 25/01/2019 by John Slight. Dr. John Slight, Lecturer in Modern History, has published three articles on OpenLearn related to the First World War and its aftermath in the Middle East. The first article examines the British ‘dash’ for Mosul, Northern Iraq, in November 1918. The second article explores the fall of Medina, in Arabia, in January 1919. 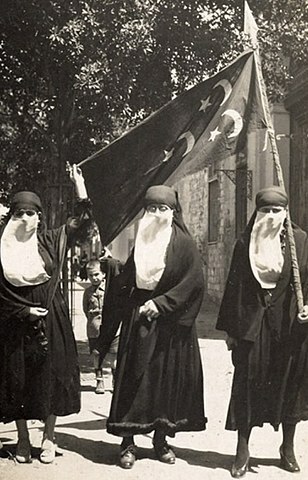 The third article covers the Egyptian Revolution of 1919. This entry was posted in Publications, Teaching on 21/01/2019 by John Slight. On 8 November 1918, an Englishman, a Frenchman and a German gathered in secret, on a train carriage in a forest near Paris. Their meeting would last for three days. Its aim: bring peace to Europe, and an end to four long years of brutal and deadly war. 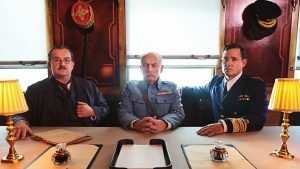 One hundred years after the end of the First World War, this new 60-minute documentary uncovers the extraordinary events leading up to the Armistice negotiations, and the repercussions that would ripple across the continent, and throughout the 20th century. Now, leading historians including our Professor of European History, Annika Mombauer, have examined the meeting from the perspectives of the three key players on the train, as well as the people who sent them there. Each had the weight of their nation on their shoulders. Admiral Rosslyn Wemyss joined the Navy at just 13, and grew up to be the commander of the most powerful navy on earth. Britain had ruled the waves for over 100 years, and Wemyss has been sent to the meeting with one objective; keep it that way. He had to make sure that the negotiations not only gave Britain the upper hand at sea, but ensured that Germany never threaten Britain’s naval dominance again – whatever the cost. Marshall Ferdinand Foch was in charge of the war on land. He had seen his beloved France decimated by a war of attrition which had cost millions of lives, on a front line which never moved more than a few miles. He was single-minded and unapologetic in his aim: dismantle Germany and prevent them from ever invading France again. German Matthias Erzberger was, unlike his French and British counterparts, not a military man, but a politician. Sent to negotiate for a nation on its knees, he had little room for manoeuvre, but still faced harsher terms than he had ever expected. While fighting his corner in the train carriage, events in Germany were unfolding faster than he could possibly imagine. This programme follows the meeting, and its consequences – not only for the individuals on the train, but the countries they represented. This is the story of the end of one World War, and the beginning of another. The documentary airs on BBC Two on Thursday 8 November at 9pm. This entry was posted in TV & Media on 06/11/2018 by John Slight. The First World War was a war of unprecedented scale and brutality, with countless casualties. It also left a poisonous legacy for the twentieth century and beyond, and many of the issues that were left unresolved in 1918 would lead to another world war in 1939. 1914-1918 was a period in history that has proved provocative and culturally resonant for the last hundred years. 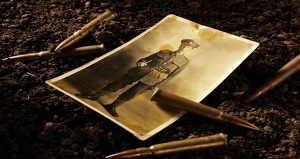 In this free online course, The First World War: trauma and memory, you can study the subject of physical and mental trauma, its treatments and its representation. The focus is not only on the trauma experienced by combatants but also the effects of the First World War on civilian populations. Over three weeks, students will discover just how devastating the effects of the First World War were in terms of casualties across the many combatant nations, and look in depth at the problem of ‘shell shock’ and how deeply it affected the lives of those who lived through it. Students will also develop the skills to carry out your own independent research. However, the war was not only experienced on the battlefield. Students will explore the many and varied ways in which the war impacted on civilians, including the way combatant casualties affected the lives of loved ones who were left behind. Finally, students will look at how the trauma of the war has been depicted in art and literature, and see what has been learned from the past in the modern day treatment of combat stress reactions and post-traumatic stress disorder (PTSD). This course is aimed at anyone with an interest in the First World War. Some prior knowledge of the history involved may be helpful in understanding the context of some elements of the course, but is not necessary. By enrolling on the course students can track their progress and gain a Statement of Participation for completing the whole course. 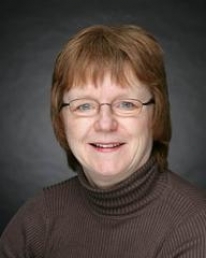 The course was written by Prof. Annika Mombauer and Dr. Vincent Trott. Ancestor image of the Great War with bullets and a soil background. This entry was posted in Teaching, TV & Media on 06/11/2018 by John Slight. Welcome to The Open University History Department's News and Events pages.  Click here to return to the History website.